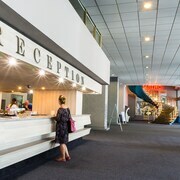 Where to find Varna hotels near an airport? 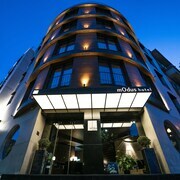 Where can I find hotels in Varna that are near tourist attractions? Varna is situated 4 kilometres (3 miles) from Varna - North Black Sea Coast's downtown. 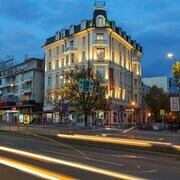 Located within a short distance of the Sea Garden is the Dallas Residence and Graffit Gallery Hotel, while the Grand Hotel London and Hotel mOdus are near the Varna Aquarium. Varna features a wide range of short and long-stay options, allowing travelers to pick a place best suited to their taste and budget. Tourists watching their budget should take a look at the Focus and Plaza Varna. If you would like more accommodation options, you can explore Expedia's Golden Sands hotels guide. Golden Sands is located 14 kilometres (9 miles) to the northeast of central Varna. Expedia's Golden Sands hotels guide is another helpful guide to help you find accommodation near Varna. Golden Sands is also part of Varna - North Black Sea Coast. Go to the Varna - North Black Sea Coast vacation travel guide and our Varna - North Black Sea Coast hotels page to find out more about your trip to Varna - North Black Sea Coast. 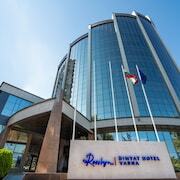 What are the most popular Varna hotels? 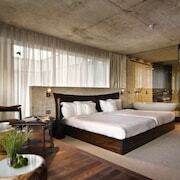 Are there hotels in other cities near Varna? 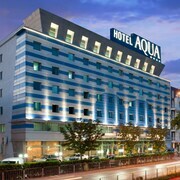 What other types of accommodations are available in Varna? Explore Varna with Expedia.ca’s Travel Guides to find the best flights, cars, holiday packages and more!